We love the Anthonys! 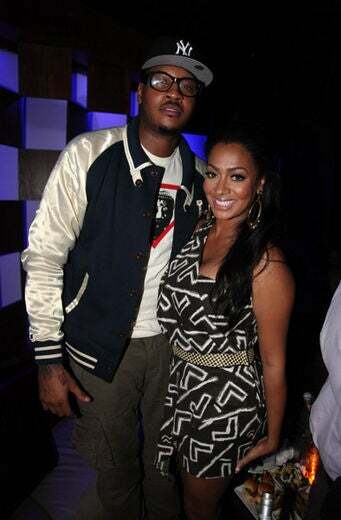 Cute and Casual as usual! 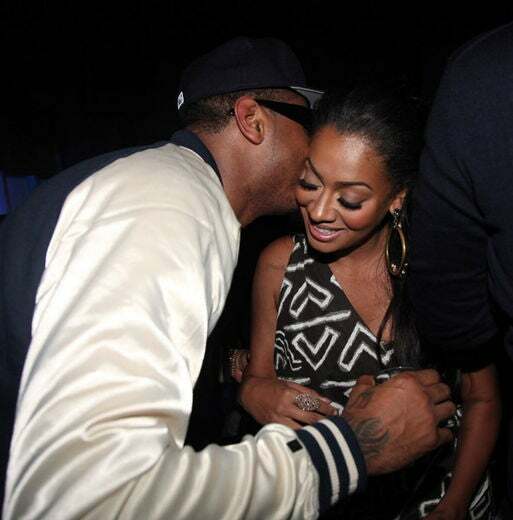 Carmelo whispers something in wifey, Lala’s ear. 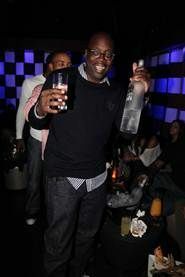 Poppin’ bottles! 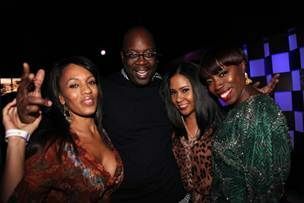 Looks like a great night! 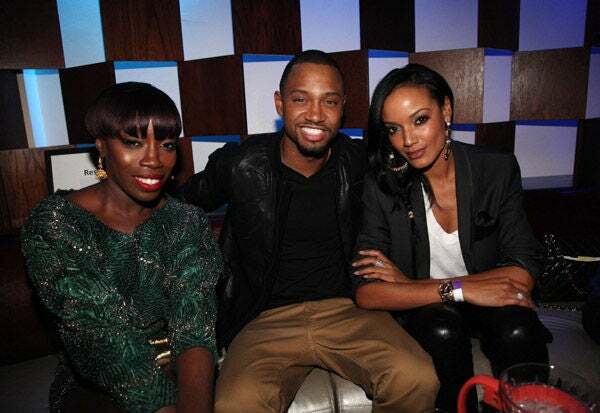 Estelle, Terrence J., and Selita Ebanks always look posh! Mike Kyser, Selita Ebanks, LaLa Anthony, and 106 N’ Park host, Terrence J., pose for a quick picture. 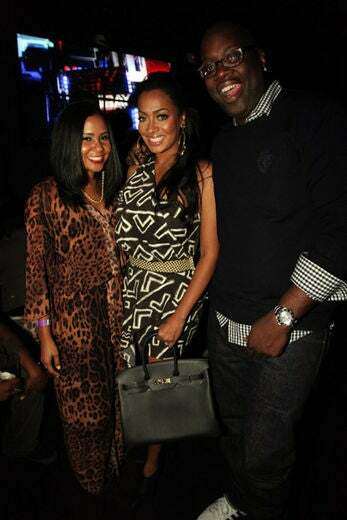 Angela Yee of 105.1’s The Breakfast Club, LaLa Anthony, and Mike Kyser pose at the ‘Bottles and Strikes’ Two Year Anniversary. 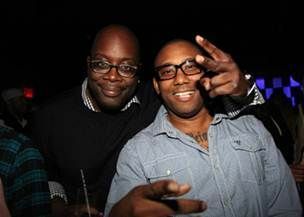 Melyssa Ford, Mike Kyser, Angela Yee, and Estelle look like they’re having the time of their life! 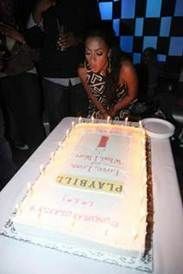 LaLa blows out the candles as she celebrated her “Love, Loss, and What I Wore” off-Broadway play. 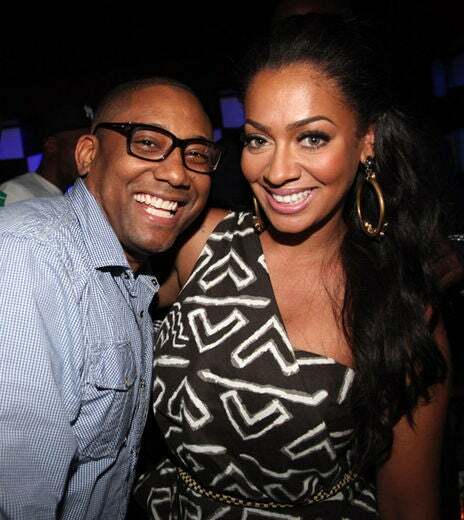 Maino and LaLa Anthony share a laugh and take a great pic! 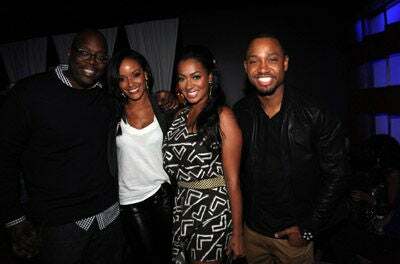 Mike Kyser, Model Selita Ebanks, LaLa Anthony, and 106 N’ Park host, Terrence J., pose for a quick picture. LaLa gets a quick picture in with hubby Carmelo Anthony.